We build, lease and manage retail plazas, commercial properties and office buildings throughout Pennsylvania. 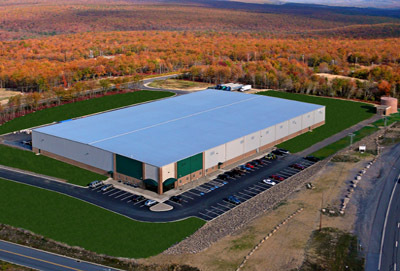 Our commercial projects comprise 5,000 to 100,000 square feet. We acquire suitable commercial and industrial sites for appropriate development. We build to suit. Currently, we have five approved industrial pad sites available with building footprints ranging from 50,000 to 125,000 square feet. In some cases the site work has been completed. A number of commercial sites are also readily available from our present inventory. For example, Sharp Mountain Plaza next to Sheetz Plaza on the Gordon Nagle Trail (State Highway 901). We have frequently joined in partnership with state agencies in build/lease projects. Three of the projects that we have completed for the Pennsylvania Department of Environmental Protection (DEP) are Gold LEED Certified. These offices — in California, Philipsburg and Ebensburg — feature R-32 walls utilizing insulated concrete forms, indirect lighting and extensive use of recycled materials. In terms of the number of buildings leased to the Commonwealth of Pennsylvania, we rank among the top three owners. McKean County — 8,896 s.f. Potter County — 8,894 s.f. Schuylkill Haven — 3,600 s.f. Highridge Business Park — 100,000 s.f.